Been hearing about this new Chinese restaurant along Connecticut Street in Greenhills. Many say that their Xiao Long Bao is the best in Manila. We've been wanting to try it out for a while, but it was just last Sunday that we got the chance! Thank goodness, my mom and aunt arrived early for the walk-in!! The place was PACKED, I mean literally PACKED! There were so many people waiting for tables to open up! There's this word in Mandarin that I always associate with Chinese restaurants - RE NAO (hot and noisy) and it was really like that! The food is good, I mean for a Chinese restaurant - the dishes were served hot and fresh. The Xiao Long Baos were just so-so for me. I mean come on, if your benchmark are those of Din Tai Fung, well - they're incomparable. BUT in fairness, Lugang has the BEST xiao long bao, IN Manila. Since there's no DTF here, Lugang's can be considered the BEST in town. We downed two orders in a flash - I was too slow to take pics! My overall experience was very satisfactory, I'd love to go back and try other dishes! But for sure, I will be ordering the xiao long baos again! 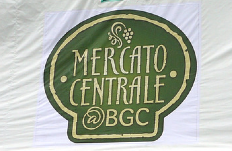 For the past four Sundays, I have been in Mercato Centrale @ BGC, but what made the last Sunday extra special was that I was one of their concessionaires. I belonged to the other side of Mercato Centrale. I remember asking one of the concessionaires during my first visit, what time the ingress was - since it was an early weekend market. I was told that it started at 4:00 in the morning. I was shocked and impressed, but then it dawned on me that that was the normal call time for mall ingress, right? So it was just but normal. 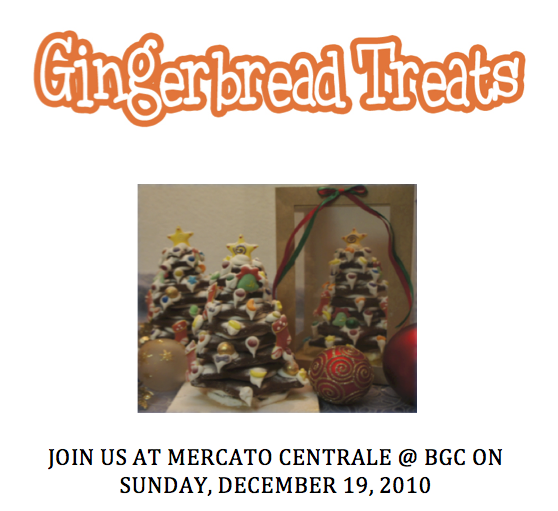 On my fourth Sunday - I found myself manning a booth with my sister in law selling gingerbread trees! We got to Mercato at about 5:00am - I think we were the first ones who were setting up at Tent 1, we looked very eager since we were really early! Hahaha.. But since it was our first time, I thought - why not go early to see what we can do. We honestly did not have any idea on what the tables looked like or where we could place the rack that we brought along. But we managed to fix our booth nicely, I think our early call time worked as we didn't look harassed and panicky while setting up. We were able to take our time and decided on how we wanted the booth to look. We were actually done setting up before the market opened its doors. We had our first customer at around 8am - a mother and a daughter. They bought two trees because the daughter thought it looked really cute! She didn't know who to give it to, but she thought it was really cute! Our sales was surprisingly slow for the few hours after that - it started to pick-up towards lunch time. People were all smiling and saying 'thank you' whenever we offer them free samples to taste, some took a taste while some declined saying they were still full. 'Free taste! Gingerbreads!' This I think was one of the most effective - when they hear the word free, they turn their heads! 'Free taste! Try our gingerbreads!' Another effective line that got people to try and buy some trees! I think I used the last two lines the most! I was seated inside the booth the whole time, since I'm pregnant I easily get tired when I am on my feet, good thing my sister in law and her staff were on their feet selling out products to people! I was the resident order taker and the cashier (love being the cashier!!) Even if I was seated the whole time, I never got tired of uttering the lines and encouraging people to try our product! One tactic I used was to entice a child to try the gingerbread - I then ask if the like it, and when they do - I tell them to ask mommy and daddy to buy for them. This tactic worked like magic! The parents couldn't resist buying for their kids - and when my SIL tells them that the gingerbread trees are all natural and do not carry any kind of preservatives - the parents are more eager to buy them for their kids! I was actually impressed that the kids loved the gingerbreads - I never thought that kids would appreciate the taste of it, but I'm super glad that they do!! At the close of the market, my SIL and I were able to sell all of the gingerbread trees that we brought with us. And I think that's very successful - because we didn't get to bring any gingerbread home with us! You see, my SIL was skeptical at first that we'd make good sales, me on the otherhand was the complete opposite! I knew for a fact that any number we'd bring, we'd be able to sell out - for me, it was just a matter of time. And I was right all along! Had we brought more trees, I think we still could have sold more BUT to be honest, we'd never know because we didn't bring any extra! The performance of our booth made us both realize that we could do this regularly - because there's a market. 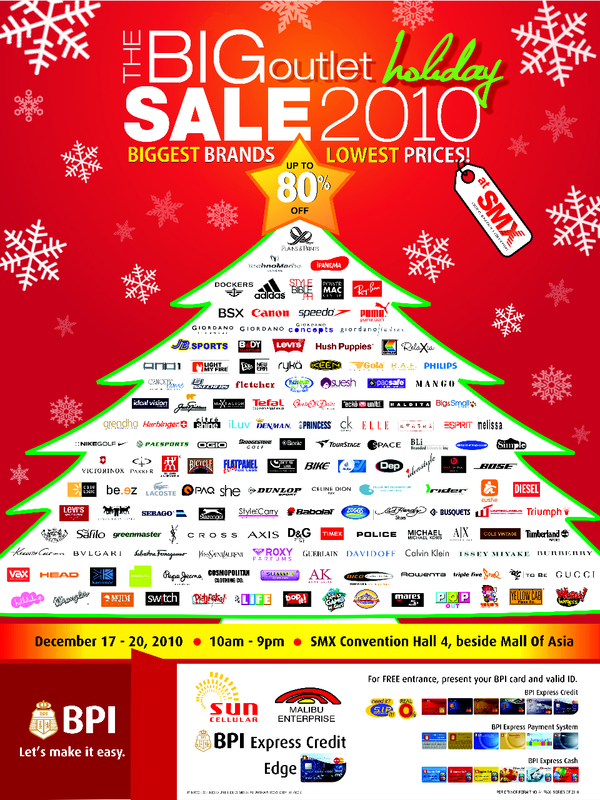 We'd love to join Mercato Centrale next year! Thank you Anton, Rache, RJ, and Mommy Mundo for opening the door ajar for us. 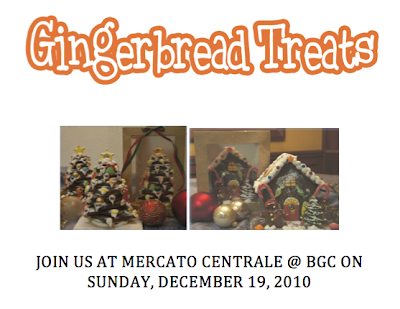 Thank you for giving us the opportunity to join Mercarto on the last Sunday of 2010. 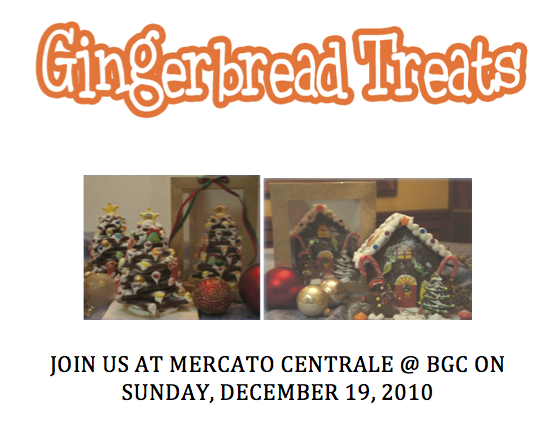 Gingerbread Treats @ Mercato Centrale! Mindy told me about this show - I've been wanting to watch it but as you know, I do not know how to download! Hahaha! I rely on my Panget or my twin to do it for me. 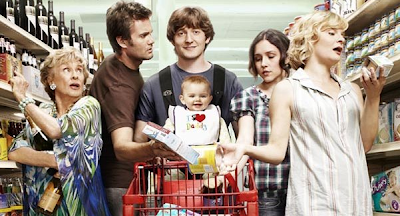 And so yesterday, my twin told me that he has 10 episodes of Raising Hope. Last night - I saw 4 episodes and I found the show really quirky and funny. Princess Beyonce/Hope is really really cute and I like the 'innocence/naive-ness/dumbness' of the characters! Its just so funny to watch.. Looking forward to more episodes of laughter!! Yes, I am stressed - with my ballpen addiction! 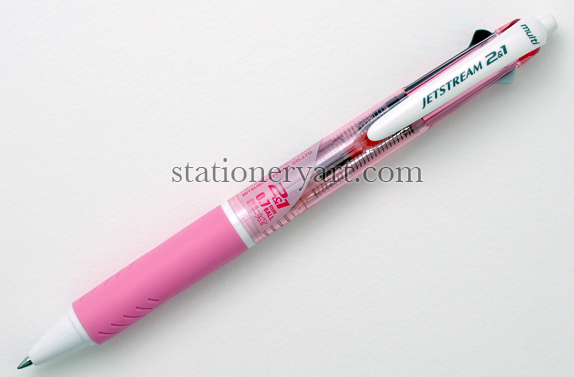 You see, there's this pen that I have - its called the Jetstream 2&1. It has two pens, one black and one red - it also has a mechanical pencil built in. My friend Kym bought it for me years ago upon my request, she bought it with instructions to buy refills. And just last week, my refills officially ran out. My black pen is no longer usable, as the ink has already been used up! Since last week, I've been a little bothered. I know it sounds silly BUT I'm that type of person. I am very OC when it comes to my ballpens, so there - since my black in has ran out, I kept on thinking where and how I can get a hold of a new refill! I asked my friend Kath who went to Hong Kong last week, but her schedule was full already. Yesterday afternoon, I asked my BFF Kim - but I never got a reply, I think she turns off her phone when abroad. I have another friend who's based in Singapore (he's also a ballpen enthusiast) - I am sending him the image of the pen and what the refill looks like so he can try and purchase for me. On a last resort, I called the local distributor of Uni ballpens. I spoke to a very nice lady and she said that there's a minimum order if I really wanted one - which was about 500+ pieces! I have to admit, this sounded really tempting - BUT its not practical at all. I am really stressing out! Hahahaha... Silly noh? 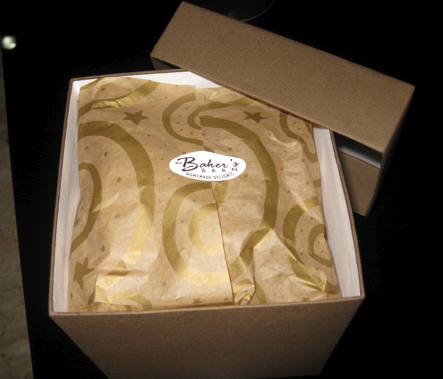 Christmas is the time for giving and I must confess, I am almost always late in giving away Christmas treats and gifts. This year, I am trying my best to give them out early. I've already ordered some gifts and will be getting them this weekend. Just last weekend, I received quite a number already. 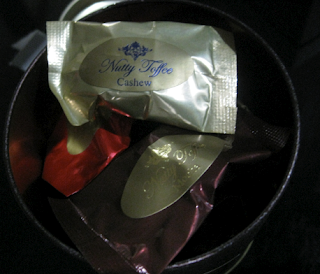 And I am posting the yummy goodies I got! Thank you Stan & Maia! Thank you Alch & Fred!! Two Sundays ago was my first time at Mercato Centrale @ BGC. We bumped into a HS kabarkada K, she told us to invite the rest of the gang to have lunch the following Sunday. And yesterday, we did meet - but since there was no place to sit, we headed to walking distance Serendra for a late lunch. I like my cookies chewy. Most of the cookies being sold during this time of the year are all crispy and crunchy. Unfortunately, I am not fond of them - and so when I heard the words 'Try our chewy cookies!' Boom, I was intrigued! I got a sample and my, was it perfectly chewy! I asked my Panget to try it and he said it was good. Being an impulsive food buyer at bazaars, I thought to be more careful this time. I made sure to remember where the booth was located because I had a feeling that my Panget will be back. And just after a few minutes - we were, we bought a pack of a dozen cookies which cost P130.00. The nice people selling them told us to leave the lid open if we wanted chewy cookies, and to keep the lid closed if we wanted crunchy ones. We bought a pack during our first visit. My Panget loved it so much that we had to buy another pack. This time, we got the spicy one. While wading through the cooked food stalls, I saw this red sign that said Manang's, it has a tag line at the table that said 'Like Bonchon's, try Manangs!' I was actually laughing because, I thought it was such a great idea! I mean, I haven't tried Bonchon's yet but I knew the concept behind it - the 'double fried' fried chicken. Then suddenly, I heard my name called out! It was my friend Ivy from Bikram Yoga! It was such a delight to see her, I think the last time I saw her was during my wedding last year! Hahaha.. As it turns out - the booth is manned by her cousin - and it was their first weekend that day. Ivy let me try her chicken wings and my gosh - was it goooooood. The chicken was very crispy and the sauce, it was heavenly! 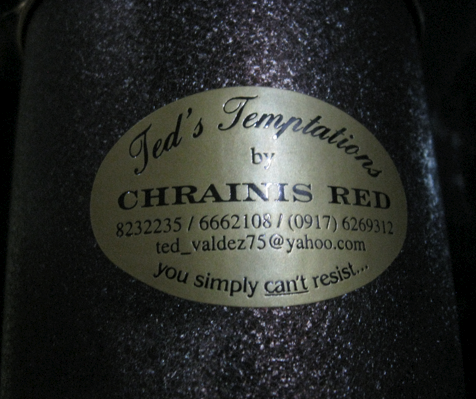 I couldn't describe the taste, basta it was really good! If my friend and I just found seats - we would have ordered so much chicken! It took me a while to decide to buy one, but when I got to doing it (I was really hungry!) they ran out of chicken wings, I settled for the chicken legs which cost P50.00 each, but they were much much bigger! I actually ate a piece inside The Stock Market - where we had lunch! Hahaha..
My friend Kath was the one who told me about this. She said that it was the best corned beef ever! And that if there was a chance that Delimondo was in Mercato - I'd have to buy myself a can or more! And when I saw the booth - I immediately told my Panget that I had to buy a can, just to try it out! I was hoping to buy the smaller can, unfortunately - there's a new packaging - a bigger can that's just P15.00 more expensive. So I bought one, we have yet to try this can. I'll post when we do. 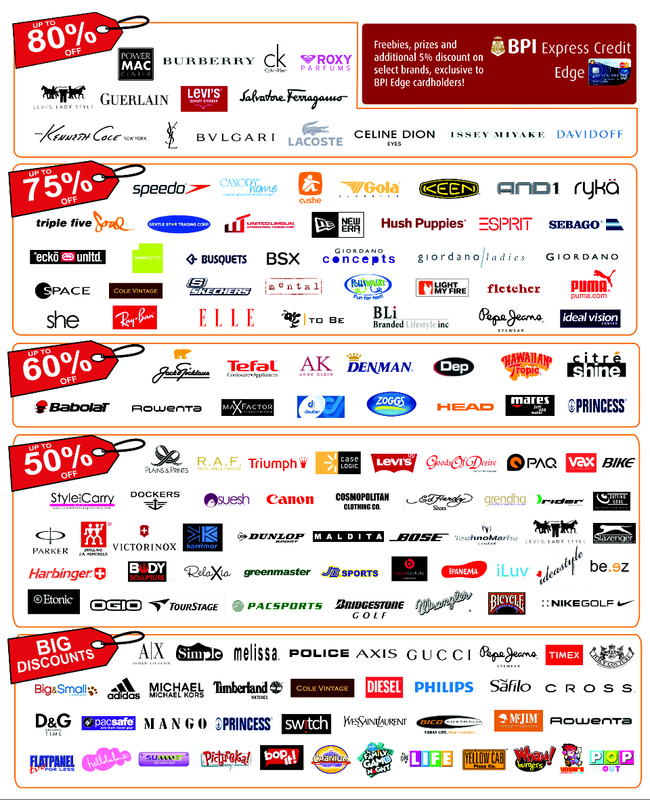 Contest Alert: Tickets to the Big Outlet Sale!! I'm giving away tickets to the Big Outlet Sale BPI Express Credit Edge, SUN Cellular, Stylebible! *Please make SURE to follow what I am asking, as INCOMPLETE ENTRIES are DISQUALIFIED! Its a one comment = one ticket thing. You can leave a maximum of TWO (2) comments to earn yourself TWO (2) tickets - maximum. A person can only win TWO tickets, any more than that - well, let's not be selfish! Hahaha.. So, if you leave more than two comments, I will only count the first two and drop the rest. I'm running this contest now - until I reach the 50th ticket winner!